As you can see from the pic above, voice input, handwriting input and emoji input have been added to the Chrome OS settings dock in the Dev Channel. While these options have been available in the on-screen keyboard for some time, the addition into the dock is a great sign. Granted, we are inferring some things here, but as these settings have been buried in a menu in the existing on-screen keyboard, I think the fact that they are being brought to the quick settings level is encouraging on a few fronts. Thanks to François Beaufort for the tip! Since Google’s #madebygoogle event left Chromebooks out in the cold, it would be easy to forget about what Google Assistant on Chromebooks could be like. Around here, we live and breathe Chrome OS, so I’ve been thinking about what that experience could be like on a Chromebook since the minute Assistant was announced. The integration wouldn’t be too tough and could will be incredibly helpful when researching for an article or paper in the education sector. It’s tough to consider any other uses for the voice input method at this point as Google has gone all-in with Assistant. Sure, voice to text is helpful, but I think they could’ve just left it buried if that is the only application. Assistant’s native integration with Chrome OS could be transformational. We’ll talk about that more in-depth in a later article, though. Considering we’ve seen pen input verified for a couple Chromebooks on the horizon, this is a no-brainer. Granted, we’re simply talking input methods (keyboards and such) being worked on here, but it again tells us that Google is moving forward with a standarized handwriting input method for Chrome OS. Being able to mark up websites and/or anything on your screen could be a powerful tool for all users: enterprise, education and consumer alike. Between Assistant and stylus input, Chrome OS is about to get WAY more functional. Add the impending arrival of Android Apps across many older and (presumably) all newer devices and the Chromebook landscape is looking quite amazing. Now we just need this hardware to start showing up! 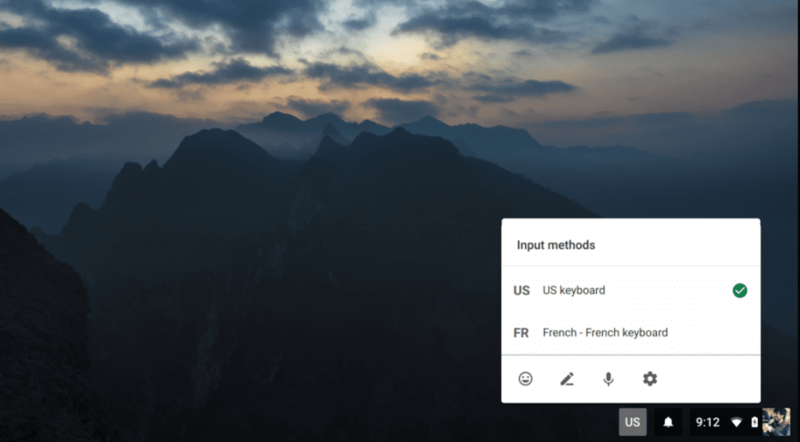 Quick tip: if you would like to try out these input methods, you have to have an ASUS Chromebook Flip or Acer Chromebook R11. Flip your screen and touch an input box. When the keyboard comes up, click the 3-dot menu and you will see the additional input methods.